Most homes in Singapore uses false ceiling to cover up unsightly pipes and wire work on their ceiling. 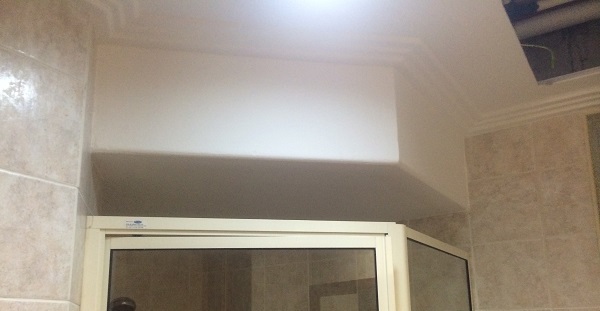 The most common false ceiling repair work we have to undertake is that of the bathroom false ceiling. This is because that is where the heaters and pipe work tends to be and as such potential places for water to leak out from. With moist, the false ceiling tends to get water stain mark (from leaking pipe in false ceiling) or in some cases the plaster gets eroded by the water. Other common repairs would be to touch up on the cracks that becomes obvious over time. 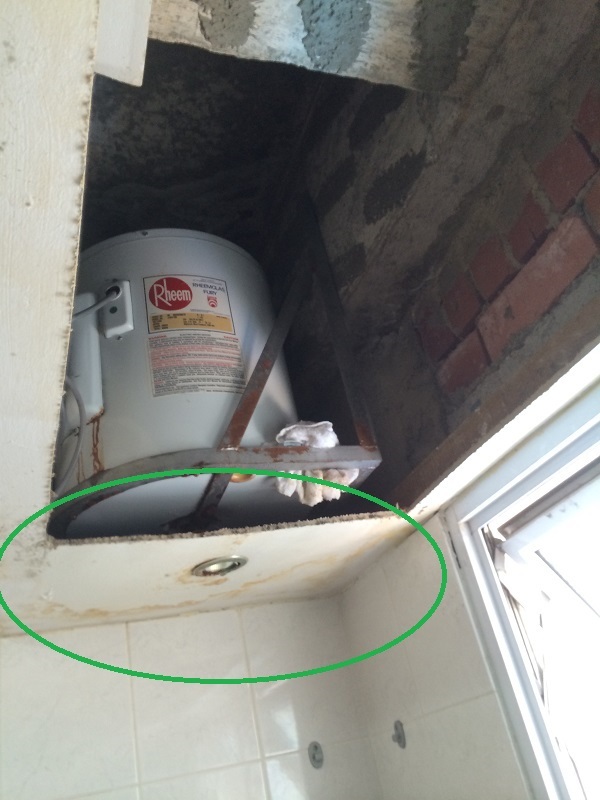 The picture on the left illustrate how a leaking heater can leave unsightly water marks on your false ceiling. This picture is taken before repair work is done to both the heater as well as the false ceiling. Below is another false ceiling work we completed for out customer. The heater is concealed within the down box created.